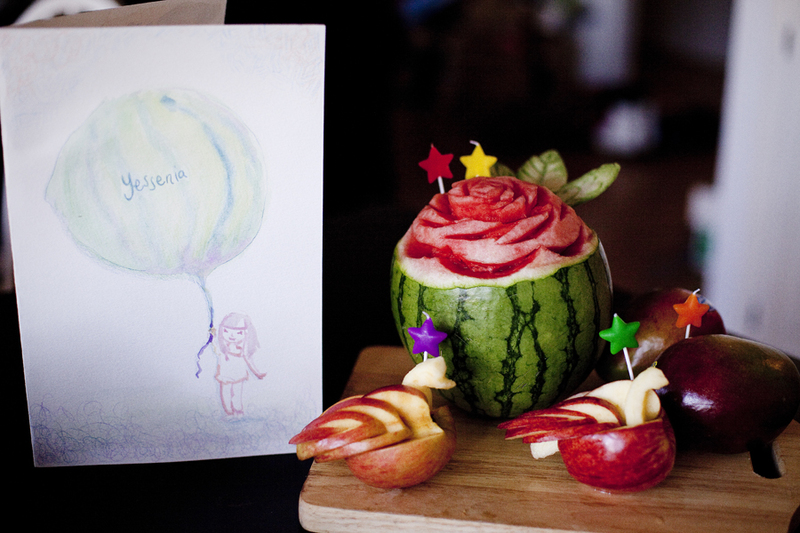 Card by me, floral watermelon carved by Lilli, and swans carved from an apple by Ela. Awesome! 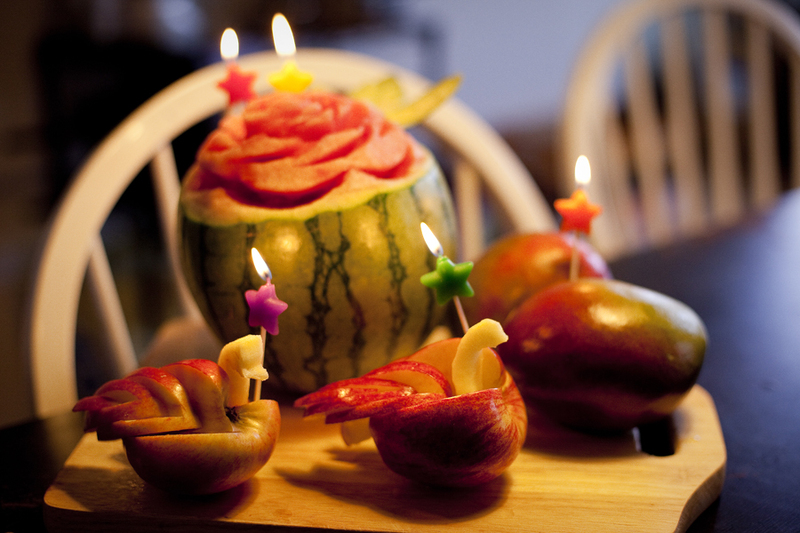 Ela and Lilli had bought these pretty star-shaped candles, but they lasted a good five minutes before extinguishing. This was about ten minutes before Ssen and JC were arrived. 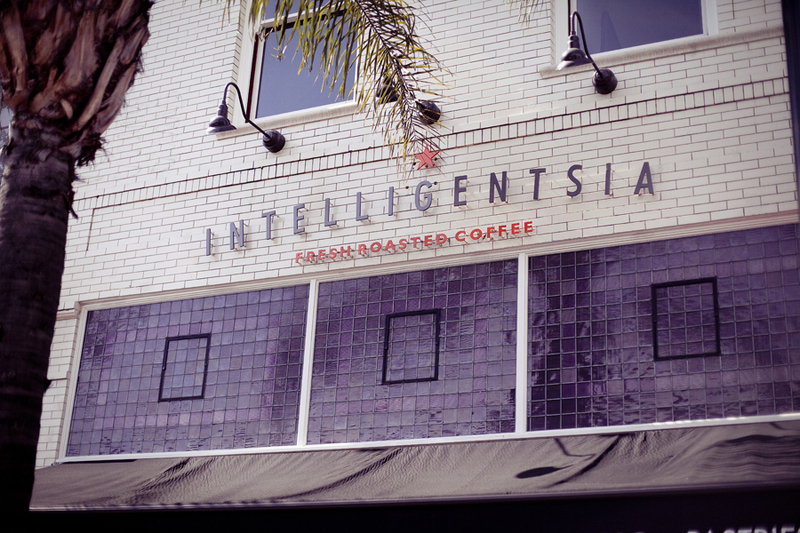 Luckily, here is photographic evidence of its once wicked glory. 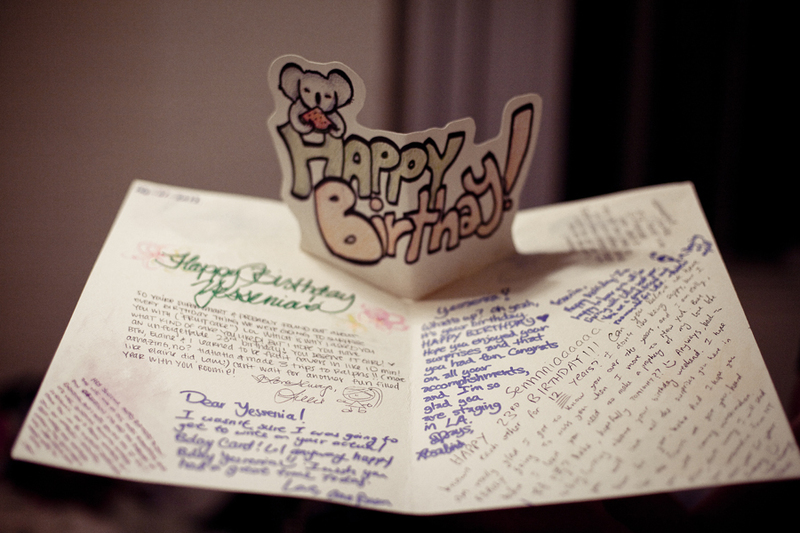 The inside of the card I made. I was totally blindsided by the writing of the word ‘birthday’ until someone asked if my spelling of it was deliberate, to which I realised in horror my mistake. It happened again the next time I wrote the word on another card, which was both mortifying and amusing to realise even after I kept reminding myself to spell it correctly. Looks like it’s the typings for me forever. From left to right, back to front: Nam, Lilli, Ela, me, JC and birthday girl Ssen! Ros, Lilli, Ela, and Nam. 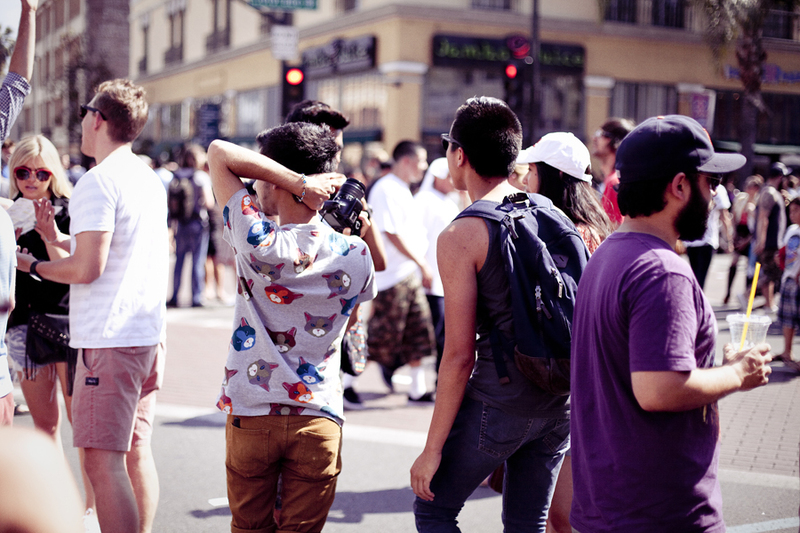 There were so many stylish people on the streets! I’d love to have his cat-printed tee. 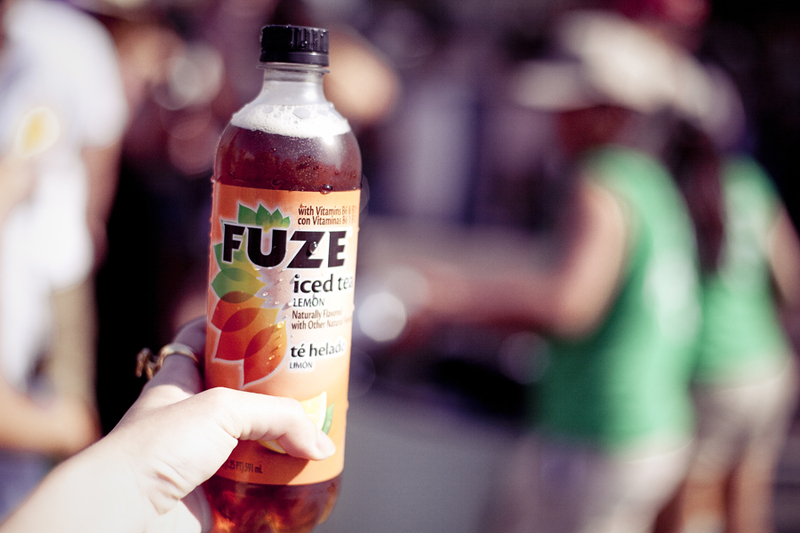 Seriously, a whole bottle of iced lemon tea, fresh from a mobile ice box . 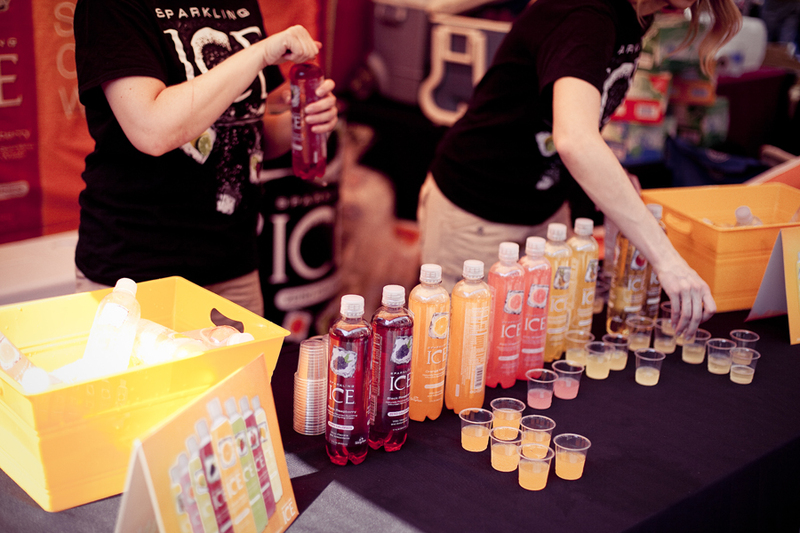 It can’t get any better than this on a hot summer’s day. Lilli, Ssen, JC and Ros with their free grocery bags from the Whole Foods booth. My dubious collection of freebies from the entire day. 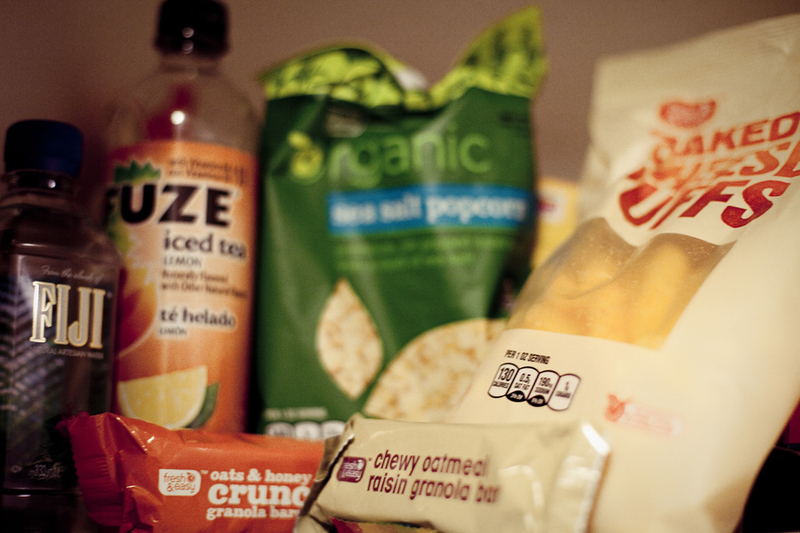 Hoard includes mineral water, muesli bars, popcorn, and cheese puffs. 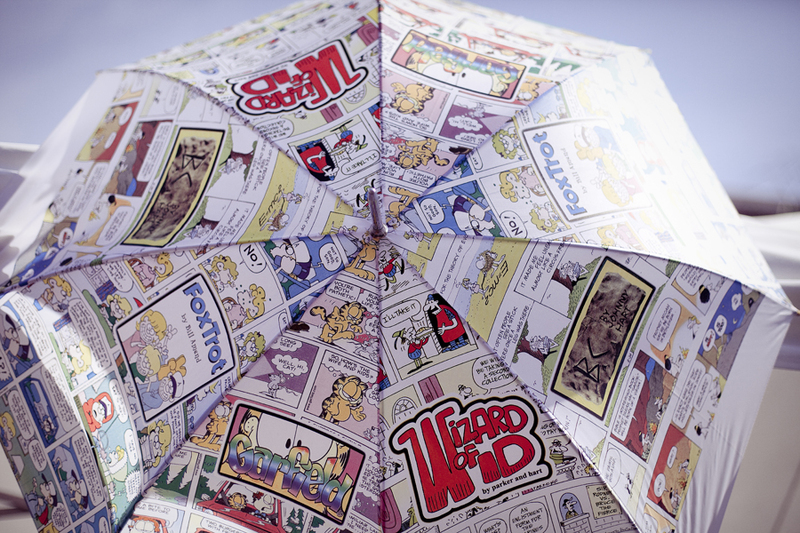 Comic-printed umbrella at the LAWeekly booth. 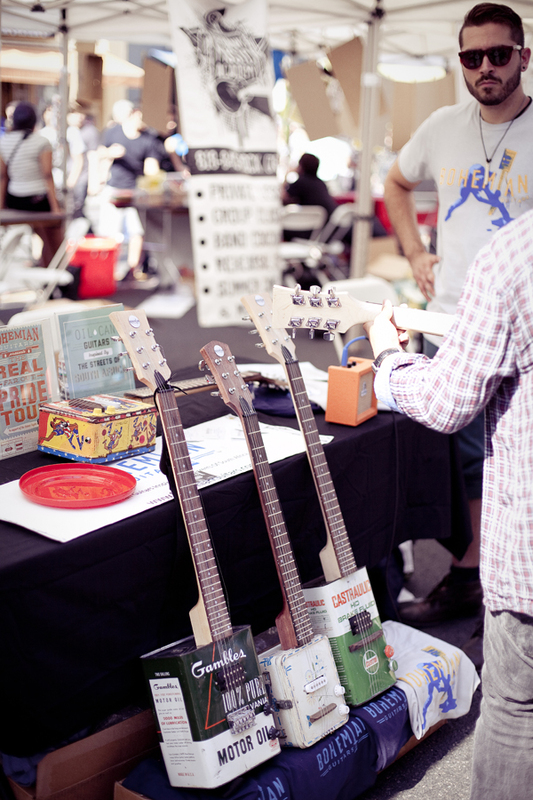 Super awesome guitars made from recycled tins! And a very indignant-looking guy I caught by accident. 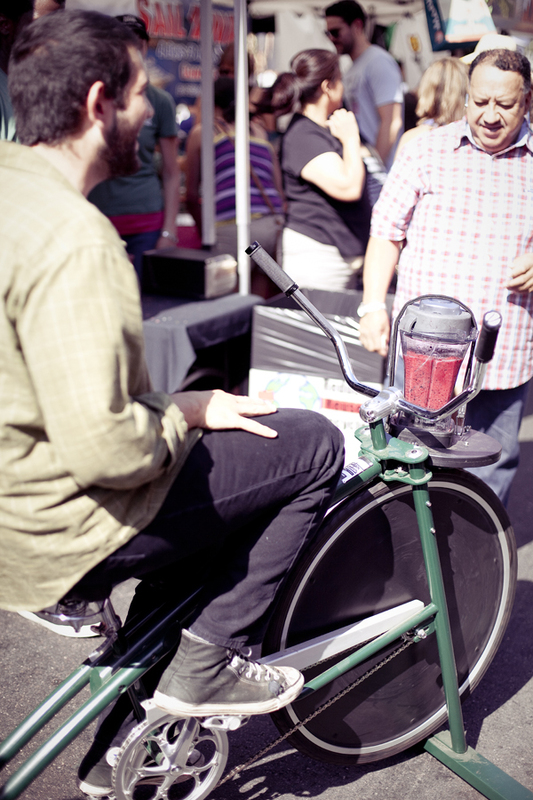 Bicycle-powered blender, not unlike the one we saw at Ecochella. 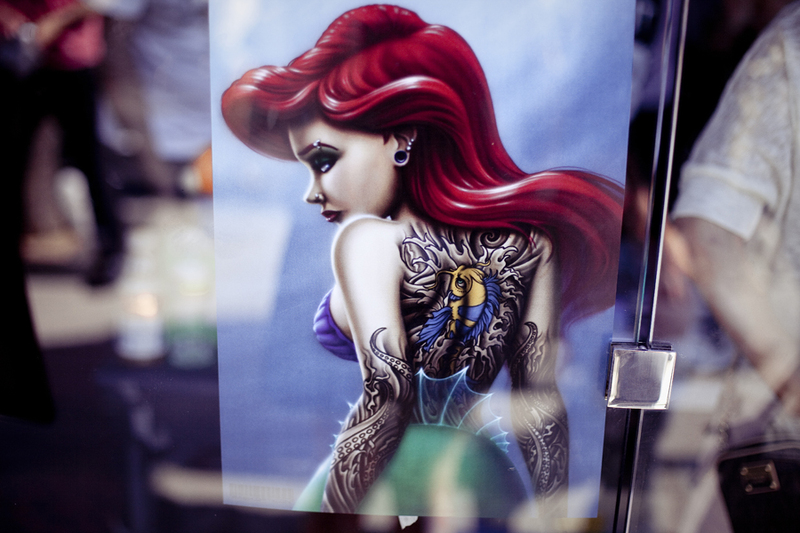 The Little Mermaid is undoubtedly one of my favourite Disney films. I thought this reimagination of her was pretty cool. 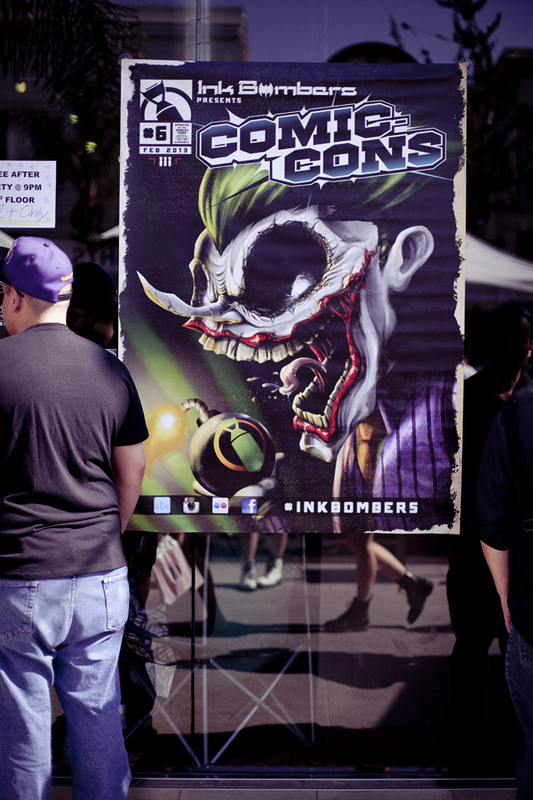 The Joker in a caricatured style as a promo for an event by the Ink Bombers. Lilli bought a floral wreath from an artsy duo who walked past us! She’d been eyeing one ever since seeing so many girls in floral wreaths, but we couldn’t locate the booth until we chanced upon the duo. It was amusing when Lilli went through the entire collection on the lady’s arm until she finally chose the one she wore on her head. I chatted to the guy meanwhile, and he said that they took pains to find fake flowers that looked authentic and that it took quite a number of hours to complete one wreath. Ela in the foreground as I saw a cool kid with cool watermelon socks. 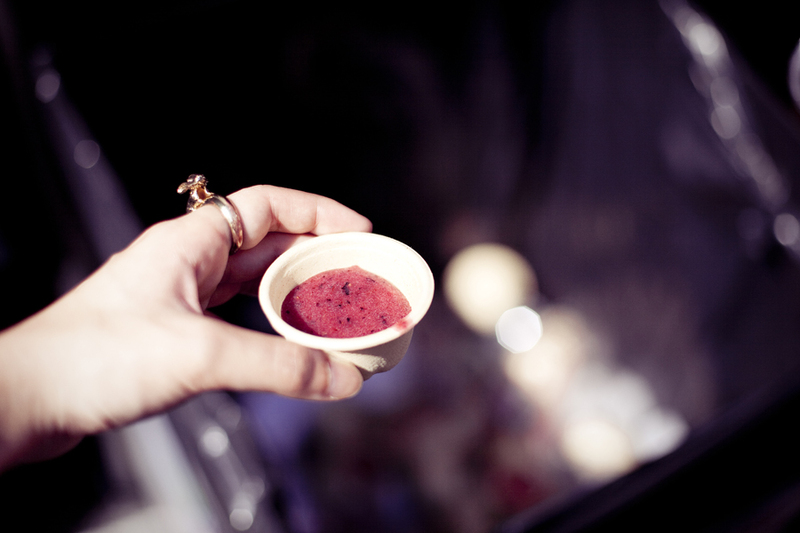 An array of different tea leaves in little bowls on display at another booth. 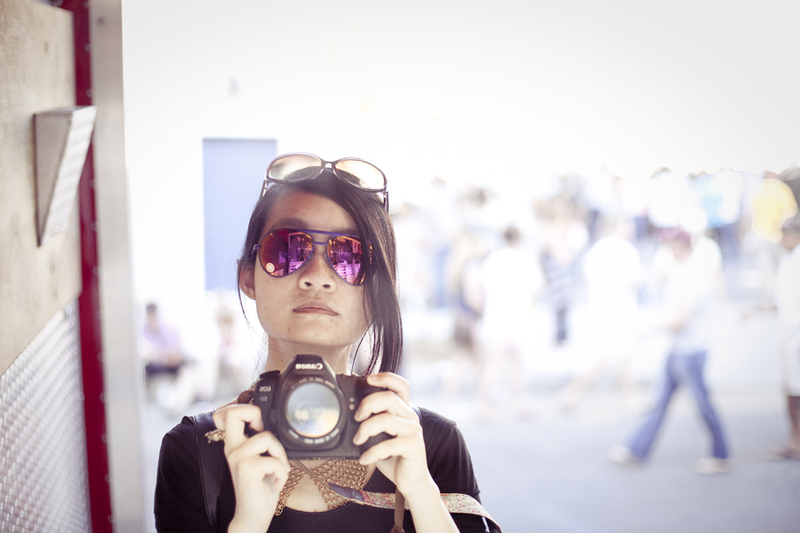 My reflection as I tried on these purple pair of pretties at the mobile shop. And dinner to cap the day off. 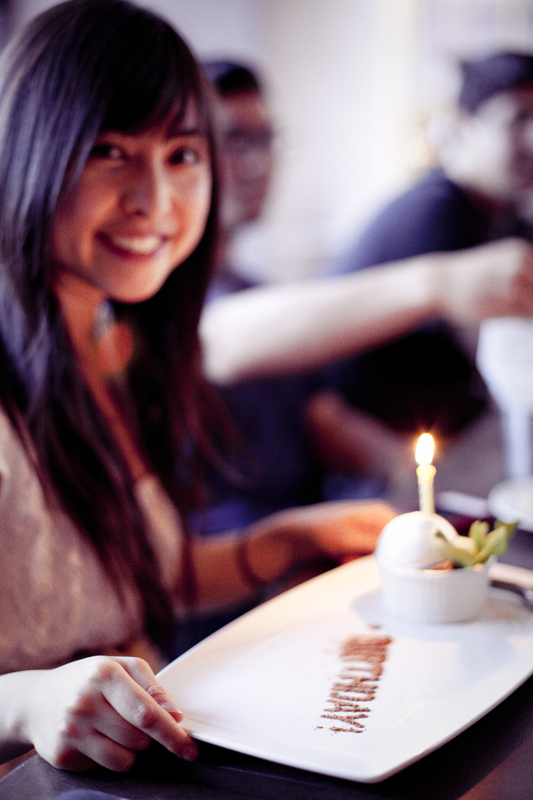 Here is Ssen and her birthday dessert!